Martijn (Theflyingdutchman) is a fan of Jake's Rolex World and he sent in these stunning photos of his "Big Bubbleback" Rolex Datejust watches. 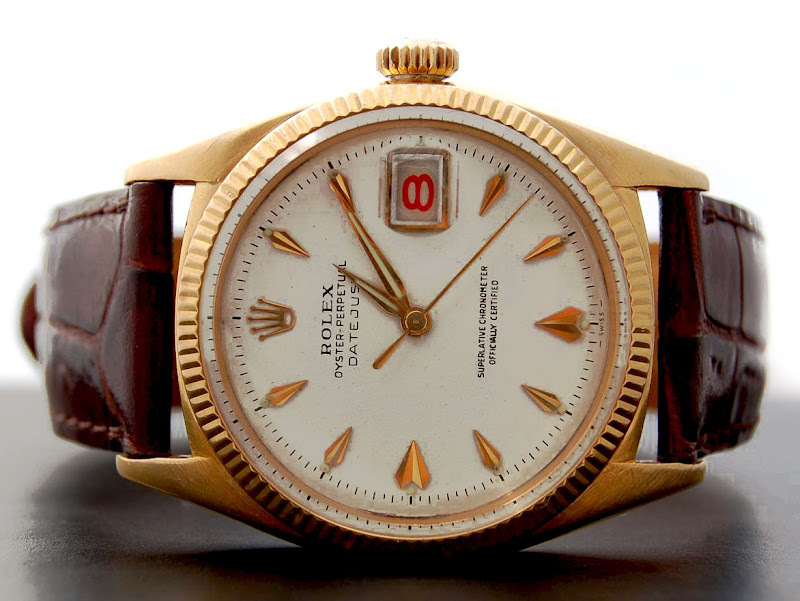 These watches were made between 1955 and 1957 and they are highly sought after by collectors. In Italy the Reference 6035 "Big Bubbleback" is commonly referred to by collectors as "Overttone," which means "Big Egg,"since it has such a thick bubbleback. 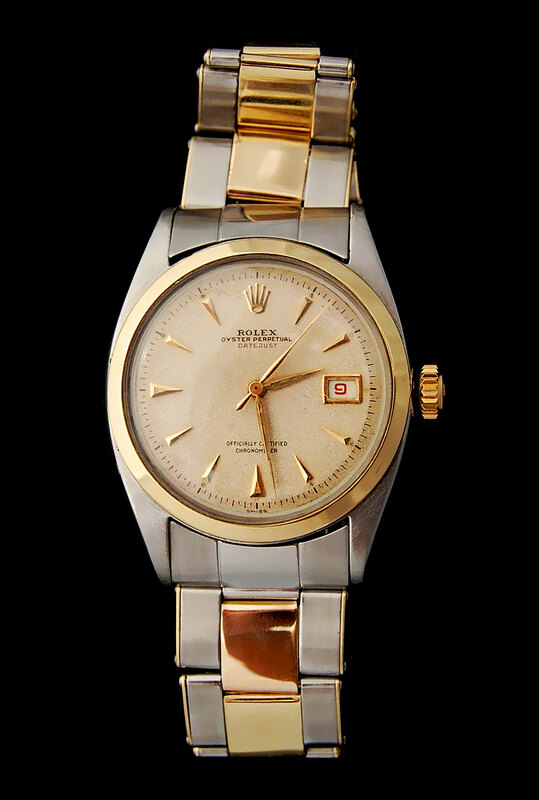 I love how Rolex in the mid 1950s used to have a red date on the Datejust and Day-Date.